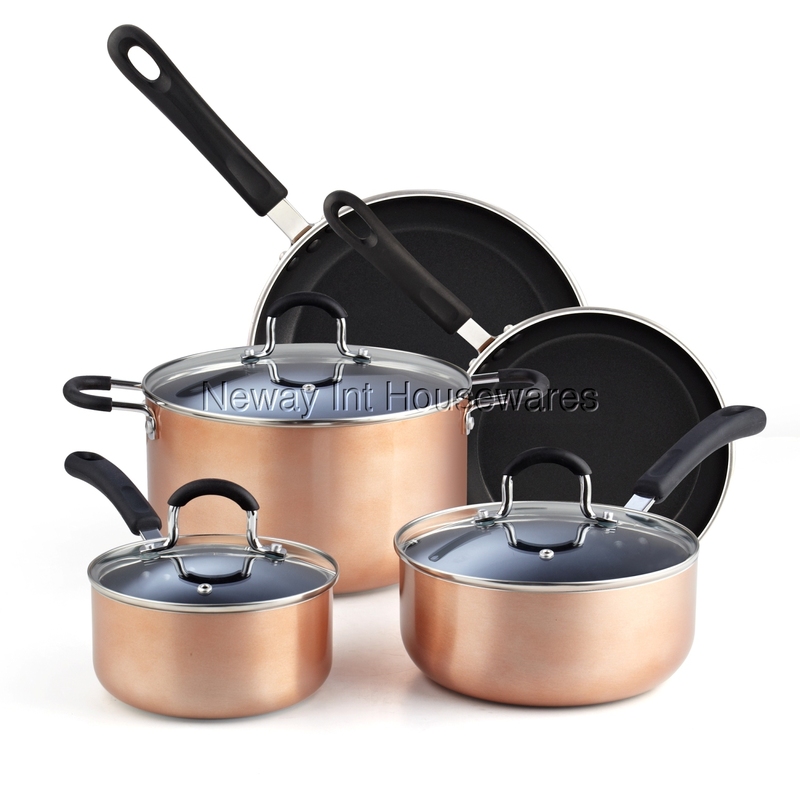 The Cook N Home 8-Piece Nonstick Heavy Gauge Cookware Set, Copper/Brown includes: 1 and 2 quart saucepans with lids, 6 quart stockpot with lid, 8 and 9.5 inch fry pans. Made of thick gauge aluminum that provides even/quick heat conduction and prevents hot spots. Nonstick makes food release/cleaning easy and allows for healthy cooking. PFOA, cadmium, nickel, and lead free. Riveted handles are comfortable and stay cool with a hole for hanging. Tempered glass lids with steam vent to view cooking and fits on fry pans. Works on gas, electric, glass, ceramic, halogen, etc. Induction compatible, but due to the small size of the saucepan it may not be compatible. Oven safe to 375F. Dishwasher safe.